One of Western Australia’s leaders in data warehousing and business intelligence, Forest Grove Technology has been appointed by Rio Tinto to deliver a Management Information (MI) Reporting System for the Asset Management and Engineering Service division. Rio Tinto went to tender in early 2018 and Forest Grove were selected soon after with this project representing the first use case for the mining magnate to utilize market-leading Advanced Analytics software KNIME. The Business Intelligence as a Service (BI-as-a-S) project will initially focus on improved reporting in Cost Control and Earned Value Management, Finance, Risk Management and Planning with expansion plans to a number of other management divisions. By gathering and analysing all the data available to them across their projects, the Project Controls team can leverage this to assist them in effective management and decision making, lowering risk and influencing both time and cost outcomes of a project. This takes a typical Data Warehouse project from months and even years, down to weeks and ushers in an agile analytical process into the organisation. Rio Tinto were impressed with the calibre, flexibility and scalability of the solution and have indicated that this along with local support were key factors that led to them selecting Forest Grove Technology. Whilst a relatively newer player in the Advanced Analytics arena, KNIME has been crowned market leaders in the areas of ‘Ease of Use’ and ‘Visionaries’ in the 2018 Gartner Magic Quadrant Review for the fifth year in a row. Forest Grove’s BI-AS-A-S solution draws from a range of data sources including Oracle, SQL and Excel, and transforms the data through KNIME workflows in preparation for the MI Reporting. 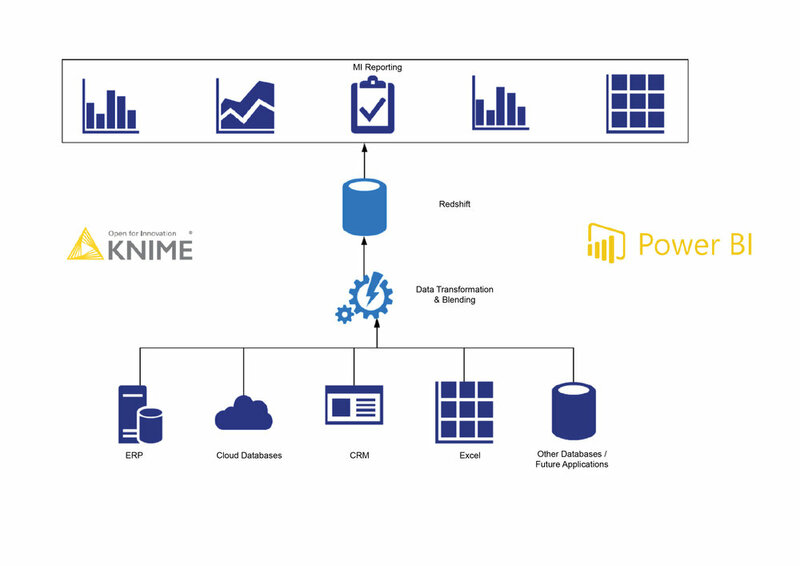 KNIME’s data cleansing capabilities allow previously incompatible data to be consolidated and transformed for insight gathering and complex reporting. As an open source product, KNIME brings a proven level of scalability and customization that alternative advanced analytics platforms struggle to achieve. Forest Grove Technology is one of Australia’s leading suppliers of management reporting, budgeting/forecasting software, business intelligence (BI) and Advanced Analytic solutions. With over 100 customers throughout Australia and New Zealand, Forest Grove Technology enables organisations to make better decisions with better information.